See the podcast show notes on my website here if you are viewing these show notes in a podcast app. 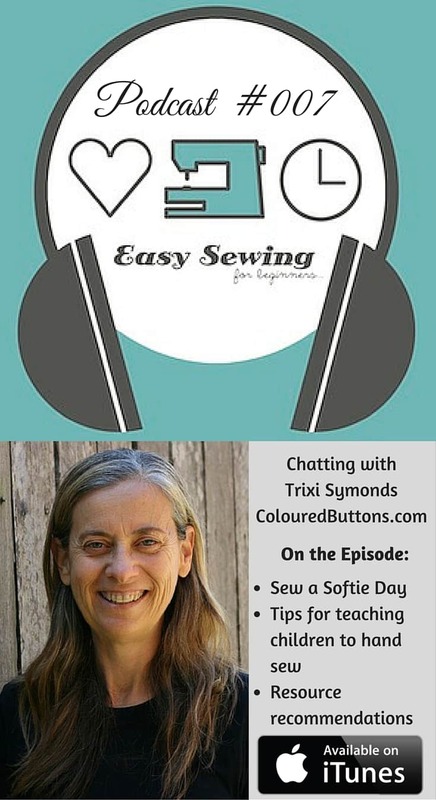 In this Easy Sewing for Beginners Podcast I chat to Trixi Symonds from Coloured Buttons all about her sewing adventures and her newest creation, Sew A Softie Day! 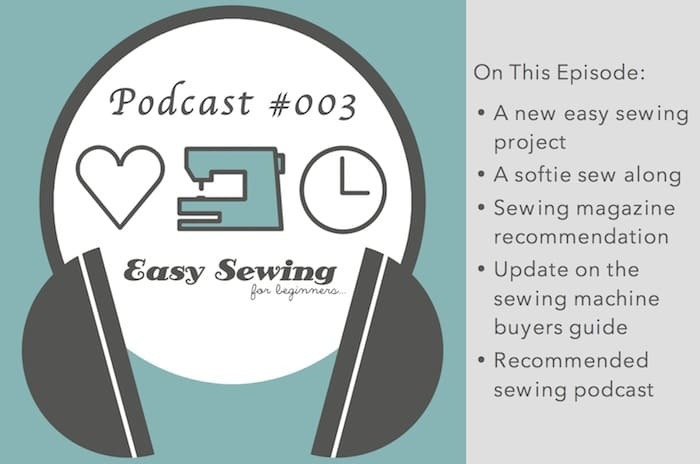 Hear more about Sew A Softie and how you can participate. If there was anything that we talked about during the show that you would like to find out more about, then keep on scrolling to find the podcast notes! You can also listen to this podcast through iTunes! **This post contain affiliate links, which means I may get a commission if you choose to click through and make a purchase. It doesn’t cost you any extra if you make a purchase and I sincerely thank you! 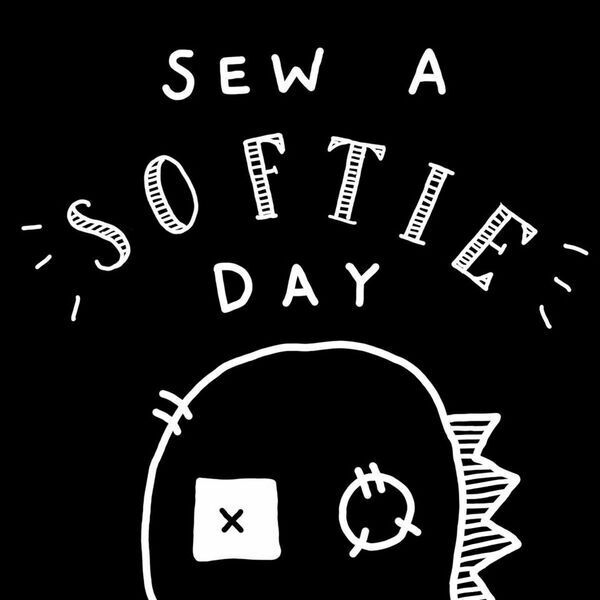 Participate in Sew A Softie Day by posting your photos of your handmade softies or of you participating in Sew A Softie Day to Instagram with the Hashtag #sasday2016 Don’t forget to share your creations in the Facebook group as well! You’ll be in the draw to win the fabulous prizes Trixi talks about! You can find Trixi’s Zenki softie tutorial over at Coloured Buttons from the 1st July. Wax/Chinagraph pencil. This pencil is great for drawing on the felt and will easily rub off when you’re finished. I’m getting one to try it out! 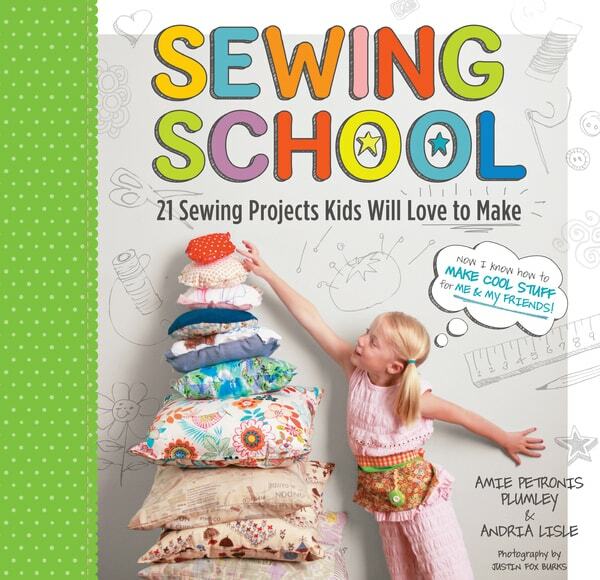 The Sewing School Book by Amie Petronis Plumley and Andria Lisle – A great book for any child looking to get into hand sewing. You can check it out on Amazon or if you live in Australia I recommend checking out Book Depository.